Summer may seem the ideal time for visiting America’s vast network of national parks, but winter offers a surprising variety of park getaways — with activities ranging from skiing to scuba diving. Here are eight national parks scattered across the country that provide a smorgasbord of winter adventures. Don’t let the morbid-sounding name of this park put you off. 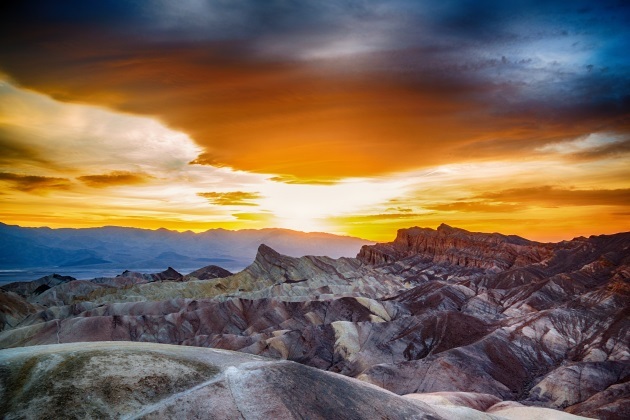 It is home to a fantastic variety of ecosystems ranging from snow-capped mountains to wetlands to sand dunes and deserts that harbor the hottest, driest and lowest spot in North America. These environments are very much alive, supporting nearly 400 species of native wildlife and more than a thousand plant species. 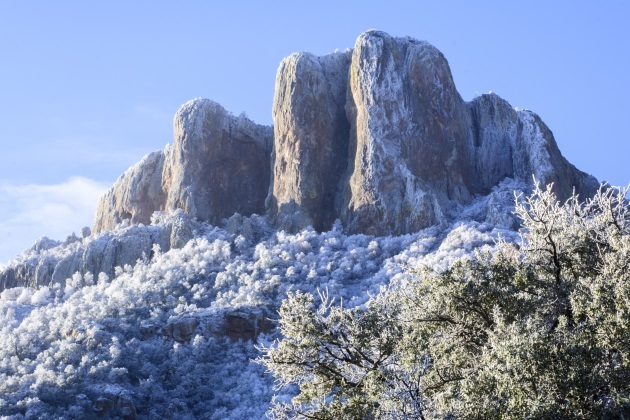 Moderate winter temperatures invite visitors to explore the vast 3.4-milion-acre preserve by participating in the park’s five ranger-led walking tours offered from December through March. For an even more special experience, sign up for one of the paleontology hikes to explore remote areas of the park, usually closed to the public, for a close-up look at fossilized horse, camel and mastodon tracks. Come winter, most of Yosemite wears a covering of snow and visitor attention centers on such winter sports and activities as downhill and cross-country skiing, snowboarding, ice skating, sledding, tubing and horse-drawn sleigh rides. Since 1935, Yosemite Ski & Snowboard Area (previously called Badger Pass), California’s first established ski area, has been a popular family destination. The gentle slopes and casual atmosphere make it perfect for beginning skiers. 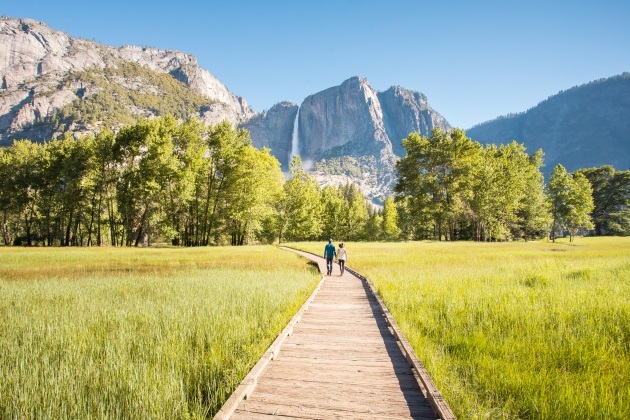 For more family fun, there’s the outdoor ice skating rink in Yosemite Valley. The outdoor rink is tucked beneath Half Dome and Glacier Point offering a majestic backdrop. This gem of a national park features several distinct ecosystems, including glacier-capped mountains, subalpine forests and meadows, temperate rain forests and a rugged Pacific coastline. Each of these realms offers spectacular winter getaway possibilities. The mountainous terrain around Hurricane Ridge is a perfect venue for skiing, snowboarding, sledding, tubing, cross-country skiing and snowshoeing. Winter rains cause the park’s lush forests to burst forth in a vivid green, and with temperatures rarely dropping below freezing at lower elevations, Olympic’s woodsy regions are ideal for hiking. Eight trails are available for day hikes in the temperate rain forest areas and another 20 trails thread through lowland forests. The coast here is notable for its giant storm-driven waves during the winter, making for exciting hiking along coastal trails. Some visitors come just to watch the dramatic storms — a popular pastime for guests cozying up at the rustic bluff-top Kalaloch Lodge. 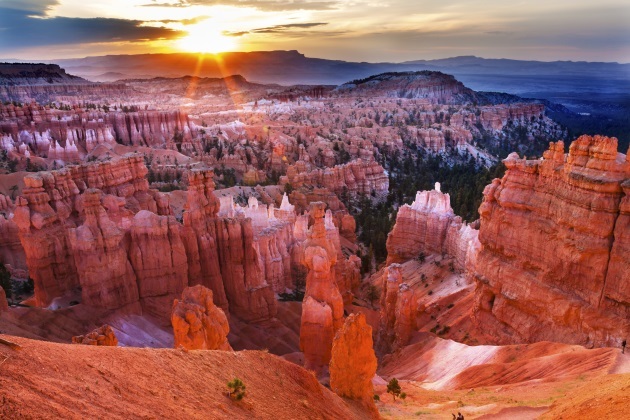 Most notable for its giant pink and amber-colored sandstone formations known as hoodoos, Bryce is one of the most spectacularly beautiful national parks in America. Those who visit the park during the winter say that the canyon is at its scenic best beneath a layer of sparkling snow. With fewer visitors on the trails, hiking is incredible here in the winter. The park’s most popular attraction, Bryce Amphitheater, offers a full day’s worth of hiking and its landmarks, Silent City and Thor’s Hammer, appear more colorful than in any other season. Trails are available for cross-country skiing and snowshoeing as well, including sections of the Rim Trail along the edge of the Main Amphitheater, the Bristlecone Loop Trail and Paria Ski Loop. Thanks to the region’s dark night skies, the park also is home to a series of winter stargazing events. Encompassing 1,200 square miles of the most remote and rugged country in the nation, Big Bend National Park is one of the least visited parks in the system. You must make a point of going there — something you definitely should do if you’re an outdoor enthusiast. Offering horizon-to-horizon panoramas, mile-high mountains, sheer-walled river canyons ideal for rafting, hundreds of miles of back roads and hiking trails, and more species of birds and cacti than any other national park, this combination of attractions makes Big Bend a global — though largely unrecognized — treasure. Daytime temperatures average in the 60s, so winter is a great time to visit. With rooms available at historic Chisos Mountain Lodge and space to camp at three developed campgrounds and an RV park, there’s no excuse not to stay a while and hike some of the 150 miles of trails or book a rafting trip on the Rio Grande. Float trips thread three canyons — Santa Elena, Boquillas and Mariscal — with waters ranging from Class 3 to calm. The park is a paradise for birders as well, sitting square in the middle of the continent along a major migration route. If you’re a birding enthusiast, make plans to come next year when the National Audubon Society holds its two annual bird counts at the end of December. This provides volunteers the opportunity to join one of the largest, longest-running bird censuses in the nation. Yearning for solitude? Wanting some time for quiet contemplation well away from your daily life? If so, now might be the time to slip off to frosty Voyageurs National Park. A true winter wonderland, Voyageurs is located in far northern Minnesota, not far from International Falls — a town with the well-earned nickname, "Icebox of the Nation." Given that there will be plenty of snow and freezing weather, come prepared to do some cross-country skiing or snowshoeing. Snowmobiling along the park’s 110 miles of staked and groomed trails is another option. Most visitors, however, come for ice fishing — drawn by frozen lakes hiding walleye, northern pike, lake trout and sturgeon. A new addition to winter activities is the Sphunge Island-Kabetoguma Lake Sledding Hill. This new recreation areafeatures a large hill for older children and adults and a smaller hill for the wee ones. 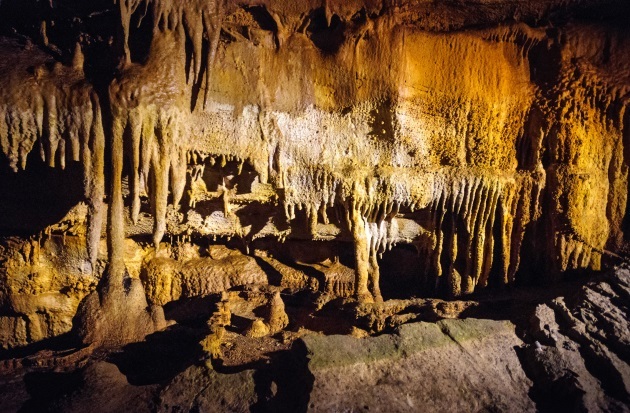 Step out of the winter chill of central Kentucky and into the world’s longest cave system — where the year-round temperature of about 54 degrees will feel downright balmy. More than 400 miles of its labyrinths have been explored, and during the less crowded winter months you’ll feel like you have the big cave mostly to yourself. This year the park is offering eight guided tours. They range from the two-hour, 0.5-mile Mammoth Cave Accessible Tour — good for elderly visitors and those with limited physical mobility — to the very strenuous four-hour, 4.1 mile Grand Avenue Tour. Reservations are advised for tours, and cannot be made the day of, so be sure to reserve in advance online. Should you be looking to retreat from the snow and cold, there’s no better place to go than the southern tip of the Sunshine State. And for water sports enthusiasts there’s no better place than Biscayne National Park. Fully 95 percent of the park is water and within it lies the Florida Reef, one of the largest coral reefs in the world, as well as the longest mangrove forest on the East Coast. 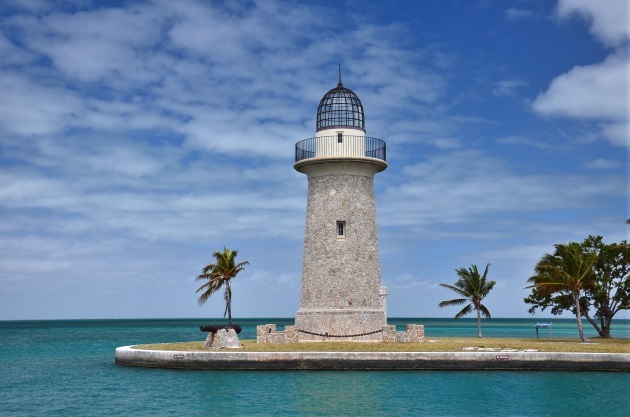 The park provides a multitude of recreational opportunities including fishing (these waters are home to more than 200 species of fish), diving, snorkeling, wildlife watching, boating and more. Programs include ranger-led "Jetty Walks," "Manatee Walks," shoreline snorkeling, canoe and kayak lessons and trips, and the "Dip-Net Program" where visitors are invited to wade into the water with rangers to discover marine life along the shore.